"This is an excerpt from a paper on the failure of Civil Military Cooperation and NATO's comprehensive approach during Operation Unified Protector in Libya. If you wish to read the whole paper or wish to cite it in your own work, please do not hesitate to contact me." On the 26th Of February 2011 the United National Security Council (UNSC) passed Resolution 1970, condemning the use of lethal force by the regime lead by Muammar Gaddafi and implementing a series of international sanctions on Libya. 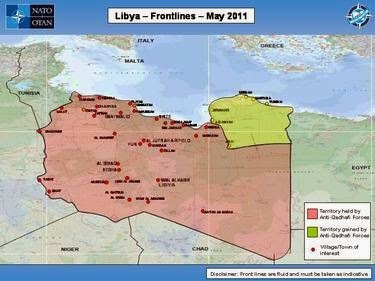 A few weeks later, the UNSC passed resolution 1973 which formed the basis for a military intervention in Libya, authorizing the international community to establish a no fly zone over Libya and demanding “an immediate ceasefire” for Libyan government forces. Originally these resolutions were enforced by several UN nations including France, the United Kingdom, Belgium, Spain, Canada and the USA, all functioning under different intervention operations. The passing of UNSCR 1973 lead to a reorganization of the international intervention operations and quickly coalesced into Operation Unified Protector under the command of NATO in an effort to unify the military command. NATO took control over the implementation of the no fly zone, while the national components kept control over targeting and ground units. This operation was conducted in an extremely complex cultural and political context. The Gaddafi regime was conducting a civil war against armed rebels and tribes with intricate ties, allegiances and conflicts, while the international community was unclear about whether or not to remove the Gaddafi regime or just impede it. The mission of OUP however, was clear in the fact that it was only to obstruct the Gaddafi regime in killing its own citizens. Oil exports have crumbled, militias imprison thousands of people and are accused of torture, there is fighting in the streets of Tripoli and the humanitarian situation is consistently deteriorating within Libya. 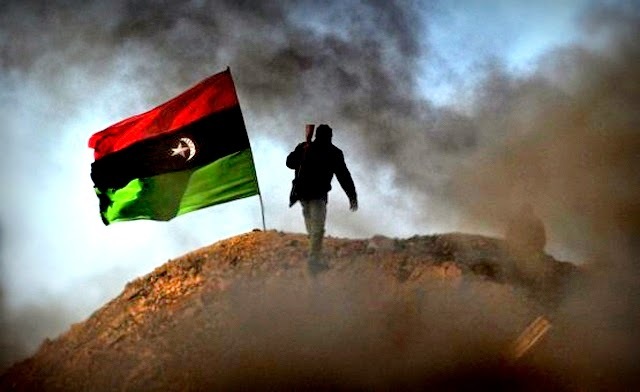 In order to understand the current situation in Libya, it is necessary to analyze what went wrong during the “liberation” of Libya, and specifically to see what happened during Operation Unified Protector which could lead to a consistently deteriorating situation after an apparent success. The fact that the military operations succeeded in its goals leaves few possibilities in where to lay blame. It is possible that political failure played a major role, which surely had an effect on the current situation in Libya. Additionally, it is feasible that a lack of or misuse of CIMIC during OUP played a role in the following destabilization. The incredibly complex task of organizing so many nations to work together to achieve a specific military goal already highlights the staggering complexity of CIMIC that has to take place during such an operation. Yet, to a large extent the use of CIMIC was ignored or delegated to the sidelines. According to a NATO Defense College Report by Florence Gaub, the possibility exists that OUP only succeeded in its goals by pure accident, as there were several grave shortcomings in their structure and equipment, as well as the use of CIMIC resources. In her research she discovered that there were absolutely no cultural advisors involved in OUP, and cultural advice was only sought from Arab officers in the coalition from Jordan, Qatar and the United Arab Emirates, who all have completely different cultures and no local understanding of Libya. According to Commander Marten Meijer PhD of the Netherlands, the focus of the civil-military cooperation branch of OUP was only infrastructure development and not on the coordination of military or political objectives through cooperation and diplomacy. Areas where CIMIC was actively used were intelligence and information operations. These efforts also lead to several difficulties as the NATO forces were not prepared to analyze, disseminate and apply the intelligence that was gathered, effectively. The information operations also faced similar challenges, specifically when it came to cultural knowledge and how to accurately support the commander’s intent through the information that was disseminated to the locals in Libya. In order to understand how CIMIC was used and applied in OUP it is important to note that OUP was an initiative undertaken by a variety of different countries with different approaches to how CIMIC should and can be used. This fact also impeded the use of CIMIC, since the political and military goals of several of the involved countries did not align. It was a stated goal of the UNSC Resolution, that there should be no direct communication and cooperation between NATO and rebel forces within Libya. This in itself is a top-down strategic failure in the operational guidance of OUP. It was politically necessary, since the resolution was meant to impede the Libyan government from killing its own citizens, and was not meant to overthrow the regime. The fact that the result of OUP was that the regime was toppled and Gaddafi was violently murdered by Libyan rebels shows that this strategic guideline was flawed. 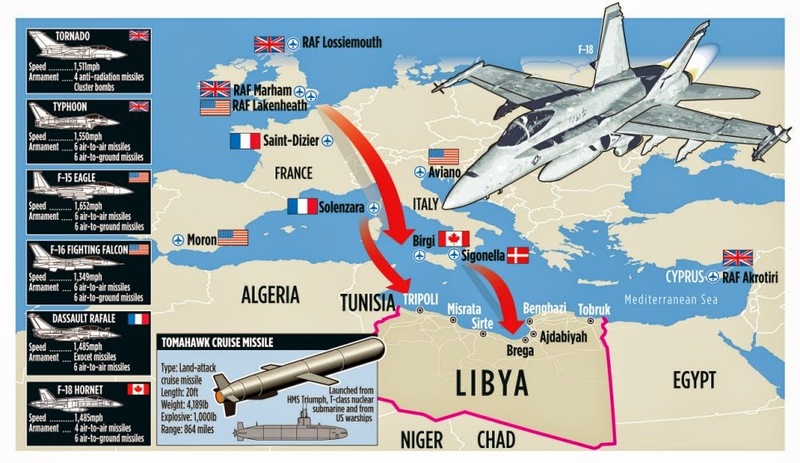 While OUP was an air and naval operation for NATO, the war for Libya was not purely an air war. Florence Gaub argues in her Nato Defense College Research Report about OUP that “the real battle was fought on the ground” by local actors.This highlights the shortcoming of not including rebel groups in planning processes by either guiding them or lending support. It was local governments, local tribes and local actors who secured the operation’s success and who were responsible for winning the war for Libya. It is these same actors who now vie for control in Libya, and who have taken advantage of the power vacuum that was created after Gaddafi was deposed. NATO forces failed to correctly interpret the movements and behaviors of tribes and actors on the ground due in a large part to cultural misunderstandings. Due to a lack of cultural advisors they did not have the capability to anticipate rebel and civilian behaviors in theatre. A lack of CIMIC structure and the reliance on assumptions and expectations instead of professional advice lead to an inability to understand the situation on the ground. This failure, however, does not mean that there were only negative aspects of CIMIC during this operation. One factor in CIMIC that helped lead to success and has since created lasting cooperation was the inclusion of Arab countries such as Qatar into OUP. While this was no help in the cultural aspect of operations, it “shows that a new order is gradually emerging in the Near and Middle East and that it is impossible for other regimes in the region to ignore the aspirations of their people”. This helped create dialogue between NATO and regional actors that according to a NATO Subcommittee report might “develop into a space for political and possibly military cooperation”. NATO was also tasked to support humanitarian assistance operations in Libya, and helped assure the free movement on international and non-governmental organizations within Libya, and support the extraction of refugees and foreigners in the area. Nicole Ameline, in her report on NATO operations explains that despite its pivotal role in CIMIC, NATO was not able to completely make use of its resources, due to it being blocked by partner organizations in the EU which were “locked in inertia” and prevented efficient coordination and civil-military interaction in OUP. NATO also suffered serious setbacks from CIMIC failures regarding intelligence collection, analysis and distribution. They did not place trust in information that was gained from civilian organizations, which in one case lead to the loss of a helicopter, although the crew was eventually recovered. This lack of trust highlights a disconnection between the military and the civilian organizations on the ground, which seems to have been a systematic lack of cooperation throughout OUP. Furthermore, severe problems in intelligence distribution aggregated by the lack of CIMIC infrastructure in the NATO operation. The incompatibility of the NATO classified computer infrastructure and the civilian computers effective in command and control lead to several problems, where needed intelligence was available, but was not distributed to the correct user at the right time. This further proves the lack of trust going out from the military personnel towards the civilian actors supporting NATO from within, and highlights a need for better cooperation even within the ranks of NATO itself. After presenting the facts and occurrences within OUP, it is necessary to analyze and understand how these failures and deficiencies contributed to the current situation in Libya. There are specific indications that important aspects of CIMIC were completely ignored and others were misused within OUP. It is clear that the national military actors involved in OUP did not consider CIMIC a very important aspect of the operation. Furthermore, the capacities of CIMIC that were used were largely erroneously applied, such as the use of cultural advisors from Jordan to advise on Libyan culture. The CIMIC measures taken by OUP were considerably lacking in effectiveness. This is largely due to the lack of trust between the nations involved on a political scale and the political disconnect that the different countries showed. The political goals that OUP was meant to achieve varied greatly between the nations. France, the United States, Russia and Belgium specifically showed great political differences. French politics openly stated they wanted the removal of Gaddafi, while the Russians (who’s vote was vital to pass the UNSCRs) specifically forbade the disposal of Gaddafi. This, in theory, should not have had an influence on the actions taken during OUP, but in practice they had considerable effects, and it is a clear possibility that foul play was involved in the murder of Gaddafi by one of the nations involved in OUP. The complete disintegration of Libya after the fall of the Gaddafi regime can be traced back in a large part on the political failures of the involved nations and to their geopolitical goals. The CIMIC measures in OUP were just a symptom of geopolitical games played, and are a natural occurrence within any multinational coalitions that involve many different countries of different mentalities and political goals. While the current situation in Libya probably is not a purposeful outcome that was planned by the involved nations, it is an obvious result that could have been foreseen with better local understanding of actors and of cultures. There are more than 20 major tribal groups in Libya, which were either loyal to or suppressed by Gaddafi, whose own tribe claims direct descent from the prophet Muhammad. Many of the tribes were exempt from paying taxes or were de-conflicted through alliances by marriage or granting of land-rights. These are all important aspects that were not addressed in OUP, and were bound to create problems upon the fall of the Gaddafi regime. The prohibition of working together or even directly communicating with local tribes made it impossible for the NATO forces to address these issues, and conduct their own deconfliction with the local tribes, or to use local resources in their efforts. However, they were not prohibited to understand the local politics and culture, and could have adjusted their tactical and strategic plans and actions. The fact is that not enough of an effort was made to work together with civilian organizations in theatre, which were capable of directly communicating with the rebels and other local actors. These organizations could have acted as a sort of unofficial liaison between NATO forces and local actors. The post-Gaddafi regime is collapsing due to the inability for local tribes to work together, as they lack unity. Gaddafi had all the local actors under his control through either fear or alliances and that is not the case in contemporary Libya. The current government is not capable of forging the correct alliances, since the oil wealth that Gaddafi enjoyed is not flowing. It is also a westernized government that is not reminiscent of a tribal structure, as was Gaddafi’s, which leads to a lack of trust from the tribes, and the current government can’t build allegiance through marriage or preferential treatment. Additionally, the government lacks the legal precedence and power to subdue unruly warlords in the manner of the Gaddafi regime, and therefore can’t keep control over its own territory. These are mostly factors for which OUP can’t be held responsible for. The NATO forces could, however, have significantly improved the chances for the survival of the post-Gaddafi regime, if it would have adjusted its tactics, strategies as well as its intelligence and targeting processes to better understand local actors and the effects of their actions. It is not enough to launch missiles and airstrikes, it is necessary to understand the effects of targeting specific persons within a power structure and to adjust the targeting processes to reflect these insights. It is a possibility that failures in civil military cooperation and coordination had a decisive role to play in the collapse of post-Gaddafi Libya; however it is more likely that it is because of political shortcomings that Libya has deteriorated. The UNSCRs were flawed due to the need to adjust to the political will of many different nations. The inability to have political cohesion is the most likely culprit in the collapse, even though there were many mistakes and shortcomings within OUP, not least within their CIMIC efforts and resources. The failures in CIMIC accounted for some mistakes within OUP, but were not the principle cause of the current chaos in Libya. Rather, they lead to a slight worsening of the political failures involved. If the NATO forces had conducted perfect CIMIC operations within OUP, it would still be very likely that chaos rules in Libya. It could however have been reduced and diminished by intelligent choices and correct long-term planning, which would have begun with a complete and correct understanding of Libyan internal politics and culture. cf. 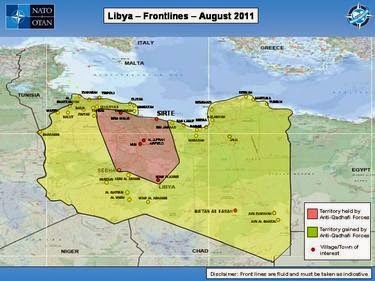 Roth, R. (2011, March 18) U.N Security Council approves no-fly zone in Libya. cf. UN (2011). The Situation in Libya, Resolution 1973(2011). cf. Cockburn, P. (2014, March 16). cf. Gaub, F. (2012, March). cf. Meijer, M. (2012, June 21). Meijer, M. (2012, June 21). Reuters Africa (2011, February 22).